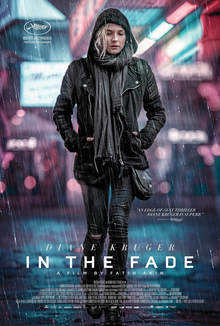 The first of In the Fade’s three, deliberately-cleaved acts is a devastating portrait of a broken family, bringing stark exposition to the human cost of right-wing extremism. Its second is an intense courtroom drama which affords a useful and critical insight into the criminal process under Germany’s inquisitorial legal system. The third turns its sights on the too scarcely-discussed international networks of neo-Nazis and right-wing extremists that stretch from Germany to Greece. Along the way, unfortunately, much is introduced and then left unaddressed. Katja’s conflict with family, lawyers and her relationship with recreational drug use is seemingly introduced to flesh out her character, then discarded without further reference. Perhaps this was deliberate - denying meaningful closure to the audience in the same way it was denied to Katja by the death of her family. The frequent denial of catharsis does strengthen the film’s staying power.